minecraft.novylen.net • View topic - Cyrus's Pokémon Y Nuzlocke Challenge! Welcome to Cyrus's Pokémon Y Nuzlocke Challenge Thread! In this thread, I will tell the tale of my journey through the Kalos region under the rules of a Nuzlocke! If you are unaware as to what a Nuzlocke is, there is a description of it here! Here is the rule set I will be playing with. The player must nickname all of their Pokémon, for the sake of forming stronger emotional bonds. A black out/white out is considered to be "game over", even if there are Pokémon left in the PC. Voluntarily resetting and reloading the game when things go wrong is a no-go. Being able to do so would render all of the other rules pointless. Species/Dupes Clause: If the player encounters a pokemon in the same evolutionary line as one they already own, it does not count as a first encounter. As this is my first Nuzlocke, I will have the battle mode to allow switching. If I feel this is too easy, I may turn it to Set later on. If I run into a shiny Pokémon, I am going to be catching it and using it, regardless on if it is the first encounter or not.. If it faints, I will send it to Pokemon Bank as opposed to releasing it. No leveling up my Pokémon higher than the next gym leader's strongest Pokémon. This is a soft rule; if a Pokémon goes a level or two higher, it's no huge deal. I will aim to have my Pokémon even with the gym leader's, however. The EXP. Share will not be used whatsoever. Unfortunately, I won't be able to post very many screen shots. However, I will update as to the status of my Pokémon journey, and post screenshots as I can! Re: Cyrus's Pokémon Y Nuzlocke Challenge! Entry One: My Starter Pokémon! From a vote on strawpoll I made, the results come in that my character shall be a girl. My name is Cyrus. Yes, yes, normal start of Pokémon adventure stuffs. Time to check my Trainer ID. It ends in 7! Per the rules, this means water type starter. Time to head to Aquacorde! Nickname? Oh boy... Time to ask the IRC. #twitchplayspokemon replys with "name her Miley!" I don't know what I was expecting. Froakie obtained, along with a letter I need to give my mom. Once again, as per #twitchplayspokemon's request, I have named my Froakie "Lord Diamond". Welcome to the team, Diamond! Time to head back to home and get on with the story... Oh man, rival battle! I forgot about that! Let's go, Shauna! 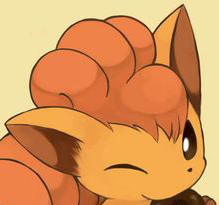 Shauna has Fennekin. This is a standard first rival battle, nothing big here. I have Bubble, so that makes this even easier. Now that that's done, off to home!